Those who attended the biennial meeting of the International Oral History Association in Bangalore, June 27-July 1, 2016, brought back memories of the fragrant flowers, colorful saris and honking car horns that are so prevalent in India. Oral historians from 32 nations gathered at the Sristi Institute of Art, Design and Technology to consider the latest developments in oral history, particularly highlighting work underway in Asia and the South Pacific, achieving the intent of moving the meetings to different regions of the world. Under the theme of “Speaking, Listening, Interpreting,” the conference featured plenaries on putting oral histories online, dealing with disasters and trauma and recording postcolonial history. 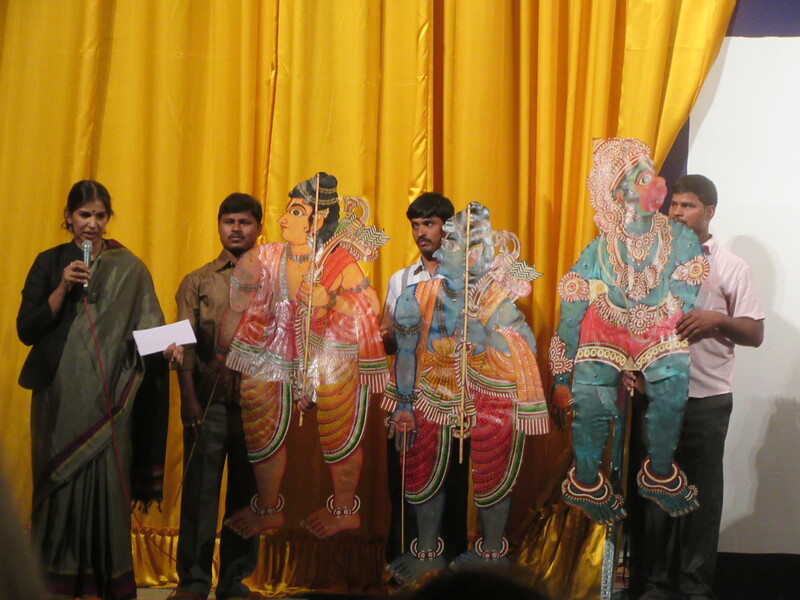 Participants were also treated to a spirited performance of traditional puppetry, narrating tales from Indian epics–the Ramayana and Mahabharata. Two OHA members were elected to leadership positions: Martha Norkunas was elected as North American representative on the council and Mark Cave as president. Outgoing President Indira Chowdhury will be heading up an effort to create an International Directory of Oral Historians. Membership in IOHA is necessary for inclusion in this online resource, so please renew your membership soon.